Recently, people have been asking me how to deal with anxiety. Not surprising, as the days we are living in are increasingly more and more fearful to face. To make it worse, people who have experienced trauma and abuse struggle with fear more than the average person. For example, PTSD, a common result of experiencing a traumatic event, is classified as an anxiety/panic “disorder”. So, what is God’s answer for fear and its common symptoms, such as anxiety, panic, and worry??? The short answer is faith/trust in Him. Faith in God, however, comes from intimately knowing Him (His love), which is developed by knowing Him via an intimate relationship with Him. This leads to the casting out of our fears. However, understanding the Finished Work of Christ on our behalf is intertwined in the process of knowing God, for it was there that the heart of God was revealed at its brightest! Beyond that, understanding Christ’s Finished Work and how it relates to us, in and of itself, creates a prevailing faith that nothing in this world can take away. 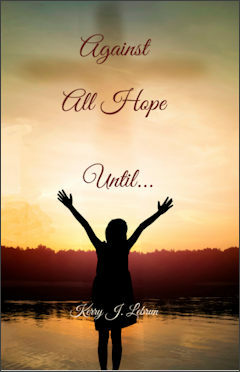 In Against All Hope Until… I have addressed fear and God’s answer for it as it as it relates to the Cross, in various chapters. In chapter 6, “Our Safe Place”, I share a download that God gave me in reference to PTSD-related fear, but which can be applied to any type of fear. This chapter lays a good foundation for overcoming fear, especially as we face the kinds of events that are taking place in our world today. Feel free to access and share this PDF of Chapter 6, “Our Safe Place” by clicking on the link at the top of the page.